Have you seen those sweet Intramural (IM) Championship t-shirts around campus and dying to have one of your own? If so, register for any of our fall 2017 sports for a chance to win! You and some friends can compete against other students teams for a chance to win an IM CHAMPIONSHIP T-SHIRT and bragging rights all year long. 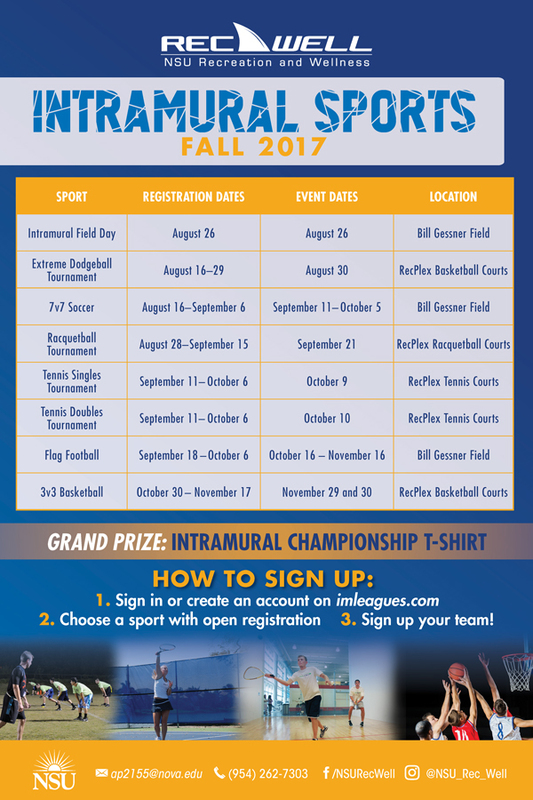 Head over to imleagues.com/NovaSoutheastern and register for any of our fall 2017 sports to win big! Create an account with your NSU email or sign in on com/NovaSoutheastern. Create a team with other NSU Students or NSU Faculty/Staff with a RecPlex Membership. 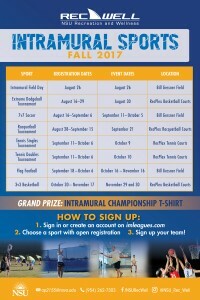 Sign up your team for any open sport listed ‘open’ on com/NovaSoutheastern. If you have any questions, please contact Michael Birch at mbirch@nova.edu, or call (954)262-7305.